We are known for our work with people experiencing advanced dementia and living in care homes. We are creating a new communities programme for people in the earlier stages of dementia. We are committed to working with people for the length of their dementia journey. Individuals who take part in a Living Words residency can feel heard and understood, even when communication seems lost. Their friends, carers and relatives can hear the person’s feelings, through their Living Words book. You writing my words and reading them back to me, I have to tell you this is like medicine to me! During Living Words residencies in care and nursing homes, we work one-to-one with individuals experiencing a dementia, like Geoff Carroll. 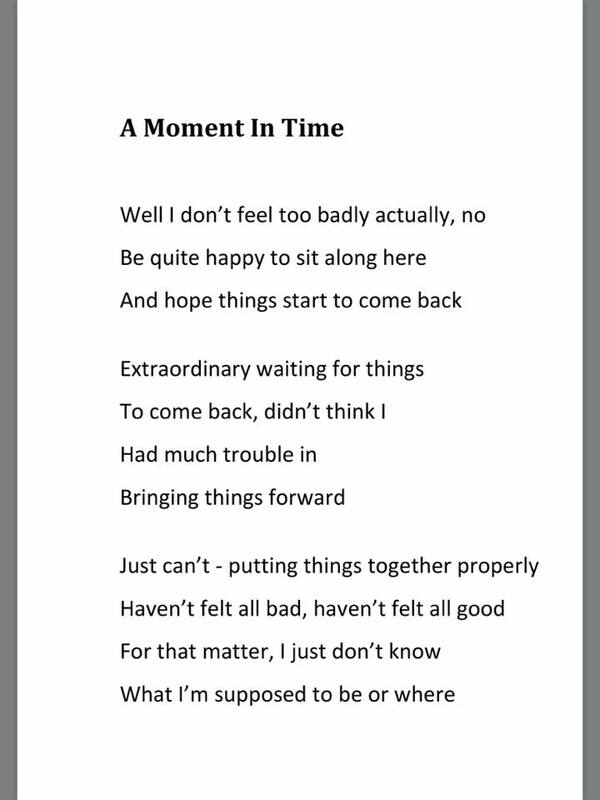 After establishing a relationship of equality and connection with Geoff, his words were written down and, in an act of co-creation between artist Susanna and Geoff, his words became pieces (poems, if you like) that became the content of his Living Words book. His words were edited but not replaced or moved around by Susanna, as we constructed his book. When we first met Geoff’s daughter, Julie, she thought: ‘You wont get anything out of Dad. Susanna must be a crackpot’. Susanna with participant Peter in London, 2016. I have just been to visit my Dad, I can't tell you how much his book of words affected me! Dad and I read it together… The book is like poetry - I got so emotional reading it, I had to go in search of a tissue halfway through! … It is such an insight into dementia… I don't know what other residents' books are like but I suspect they are all such a revelation - especially to their relatives. We did a series of workshops with the staff at Geoff’s care home. We always do this as part of the process - it can help further bond the individual with their carers and give insight. Geoff’s words were performed in a celebration at the care home, and went on to appear in the first Living Words anthology. They spoke of how he felt, living with a dementia and in a care home. This is his daughter Julie’s favourite piece of her dad’s, it isn’t in the anthology. Geoff’s family and friends from all over the world shared his words – from Liverpool to New Zealand. 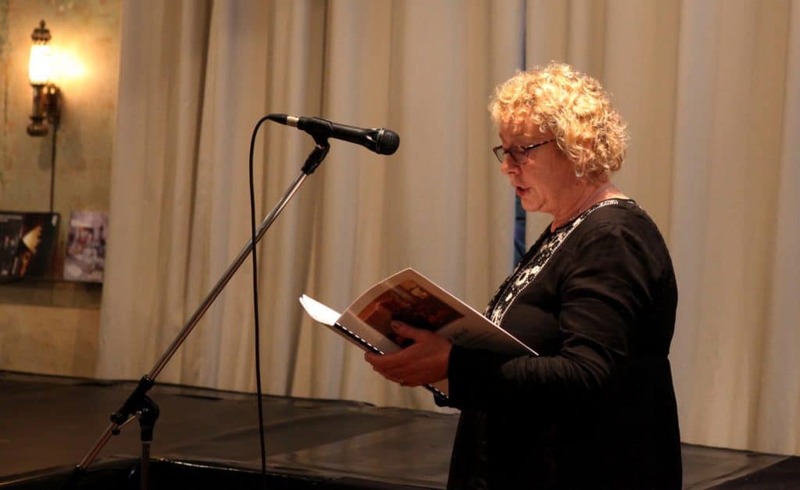 His daughter Julie spoke at our charity launch and even inspired the title of one of our theatre pieces ‘Crackpot’! Geoff passed away in 2016, but his words live on. When a participant dies, their words and poems from the book are often read at funerals and the book remains with the family as a potent memorial and evidence that they were 'still here' until the end of their lives.